when I was in Barcelona. are very secure against unauthorized duplication. And EVVA is improving the design of this lock all the time. The proof of that statement is at the end of this posting …. when it is in this ‘180 degree state’. bug or design error, but a nice feature. one side this ‘wave’ is completely filed down. the down position on this picture. state, original, non-modified keys can not be inserted into the lock. 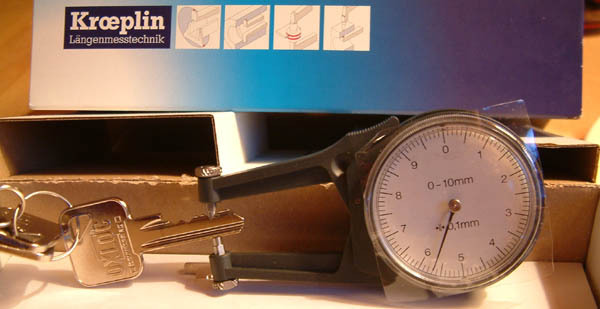 Only a key that is flat on one side can be inserted and operate the lock. lock in the meanwhile and it is no longer possible on newer models. could not shoot the images yet. Will do so at the end of the week. days on the CryptoPhone booth at 3GSM. So the weblog is a little slow. the image below gives away something already…. Anyway, about Kevin’s lockpick business cards…. 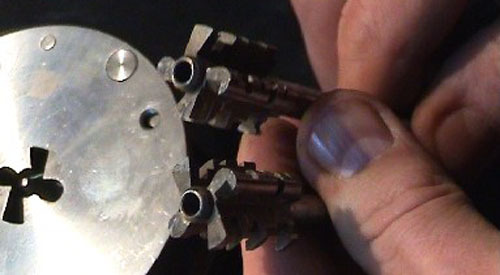 watch the following video: Lockpick business cards (WMV) or on Youtube. Tonight I received the coolest business card ever. 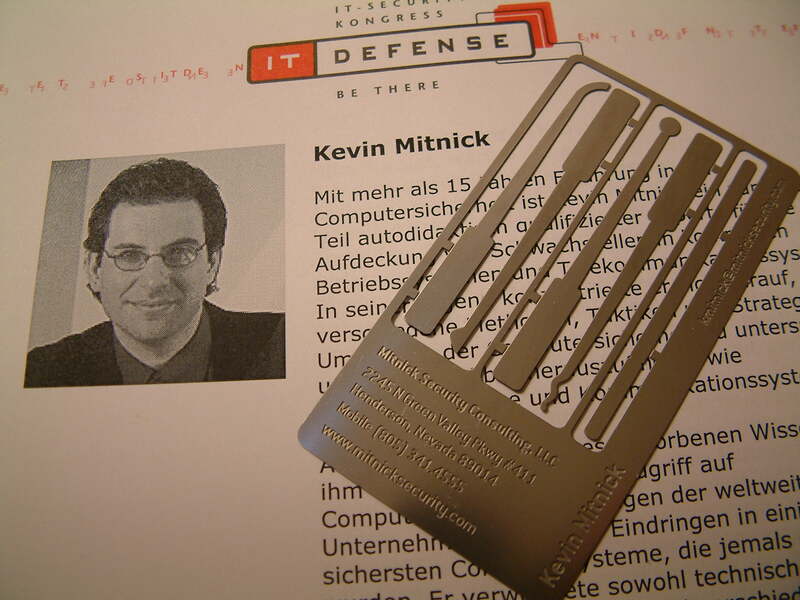 Kevin Mitnick will be speaking tomorrow morning at It-Defense, and we met each other at Dinner. When he gave some people his business card they immediately directed him into my direction. It was nice to meet him again, and he will join me picking locks tomorrow and try his own business card picks. Hopefully I will have it on video for you. And I will try to find out who makes these cards. It could become pretty popular since it is a brilliant idea. And it looks like the quality is decent too. Lets see tomorrow if they are any good …. with the best of the best speakers in the field of IT security. ambiance in a first class hotel. come and pick, bump and impression some locks during the breaks. 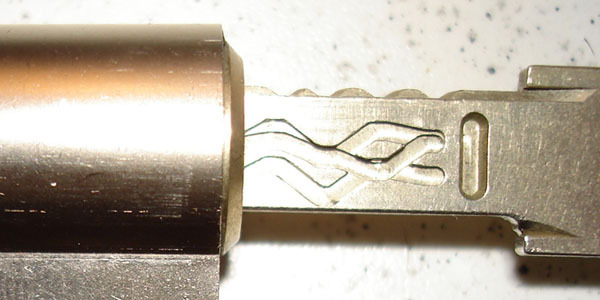 and very easy measurements from a key while impressioning. This ‘Bodenpanzer’ four bearded lock is something special too. and one of the Nazi’s favorite high security locks. of dollars on e-bay. And it is not an item you will see there often. Entries (RSS) and Comments (RSS). 43 queries. 0.334 seconds.